By building a Portable Refiner, you can refine various raw materials scavenged throughout No Man's Sky NEXT. 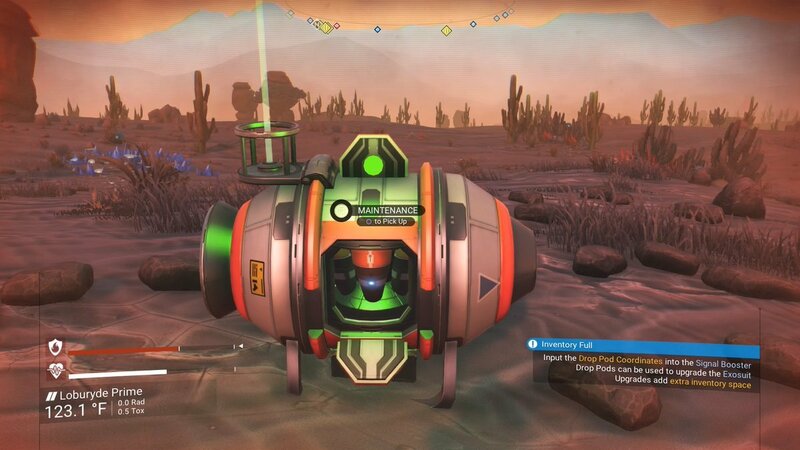 In No Man’s Sky NEXT, many players have been wondering how to build and use a Portable Refiner. To quickly recap, a Portable Refiner is a tool players can use to refine raw materials into complex materials. The Portable Refiner is relatively easy to build and is available to players early on (as long as they have the materials needed to craft it). When it comes to using your freshly built Portable Refiner, experimentation with different raw materials is key. Struggling to build a Portable Refiner, or having a hard time getting the hang of the refinement process? Read on to find out how to build and use a Portable Refiner in No Man’s Sky NEXT! Before you can use a Portable Refiner you'll first need to build one using Metal Plating and Oxygen. Before learning how to use the Portable Refiner in No Man’s Sky NEXT, you’ll first have to build a Portable Refiner. Note that a Portable Refiner can only be built while on foot. To begin the process of building a Portable Refiner, open your Build Menu and locate the Portable Refiner (fourth item option on the right). The cost of building a simple Portable Refiner is 1 Metal Plating and 30 Oxygen. These materials are fairly easy to come by. To locate Oxygen, scan planet surfaces for red “O2” diamonds. Meanwhile, Metal Plating can be crafted. To craft Metal Plating, open your exosuit inventory and hover over an empty slot. Here, you should be given the prompt “Craft Product.” Metal Plating can be crafted from 50 Ferrite Dust which is mined from common, easy-to-find rocks scattered throughout various planet surfaces. Once you’ve built your simple Portable Refiner, approach it and hold the button needed to initiate “Maintenance” which will then open a new menu. In this menu, hover where it says “Fuel Inverter” to add fuel to your Refiner. To run your Portable Refiner and process raw materials, you'll need to have fuel in the form of Carbon or Condensed Carbon on hand. Fuel can either be Carbon or Condensed Carbon, which can be scavenged by destroying plants. With your Portable Refiner full of fuel, you can then begin using it to convert raw materials. To use your Portable Refiner, add the raw material you want to refine on the left. After you’ve done this, a pop-up will appear informing you how much refined material will be created and how long the process will take. Note you can alter how much you want crafted. Then, with everything set as desired, start your Portable Refiner and wait until it's finished to collect your refined materials. With the refining process complete, you’ll need to remove any unused raw materials left behind in your Portable Refiner. Picking these up will also return unused fuel to your inventory, and the Portable Refiner itself. By following those steps, you should be able to use a Portable Refiner in No Man’s Sky NEXT with ease! For more on No Man’s Sky NEXT, be sure to check out some of our other guides including where to get Coprite in No Man’s Sky NEXT, how to get Chromatic Metal in No Man’s Sky NEXT, and how to switch from first-person to third-person in No Man’s Sky NEXT. By reading through this guide, you should now know how to use a Portable Refiner in No Man’s Sky NEXT.